2017 was, similarly to the previous year, one of improved economic performance and of continued GDP growth for Poland. The economy was developing at a rate of 4.6% around growing European Union market and stabilising Chinese economy. The global crude steel production increased in 2017 by 5%, reaching a record 1.69 billion tonnes. However, the utilization of the global steel production capacity was still low at approx. 69%, and the estimated excess capacity was 760 million tons. Global demand for steel products continued to grow and amounted to 1.59 billion tonnes, making another best result in history. countries as Vietnam, India, Iran, Egypt and Turkey. 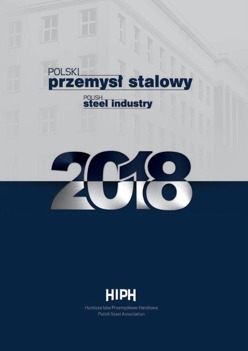 The steel market in Poland increased for the fourth year in a row, thanks to which the consumption of steel products amounted to a record 13.5 million tons. Market conditions allowed domestic steel producers to rapidly grow crude steel production which exceeded 10.3 million tonnes. The construction sector, accounting for 43% of national steel consumption, after a 14% drop in 2016, showed a 12% increase in production thanks to implemented infrastructure projects co-financed by EU funds. The magnitude of growth in infrastructure investments lets one expect a further increase in the consumption of steel products in 2018. Good performance figures were reported in other steel-using sectors such as metals products, machinery and equipment, automotive, transport equipment. However, the share of domestic deliveries to the apparent use of steel did not increase - foreign steel producers were still the main beneficiaries of the increase in consumption. Foreign deliveries accounted for as much as 71% of consumption of steel products in Poland. Due to the export growth spike, the trade balance was improved in terms of volume, although the trade deficit was still very high and amounted to 4.3 million tonnes. Threats to the competitiveness of the domestic steel industry remain, in addition to the cheap, often government-subsidised third countries imports, prices of energy carriers that are higher than in most EU countries such as electricity and natural gas for energy-intensive industries, and high costs of meeting EU environmental requirements, which are not borne by countries outside the EU. coming years, many infrastructure investment projects supported by European structural funds, increased steel makers? spending on research and development and favourable market changes will create conducive conditions for the growth of the competitiveness and further development for the steel industry.